In an attempt to get this review backlog actually moving, I sit here at 2am after just finishing Monochroma up, and have sat down to start typing my thoughts on it. 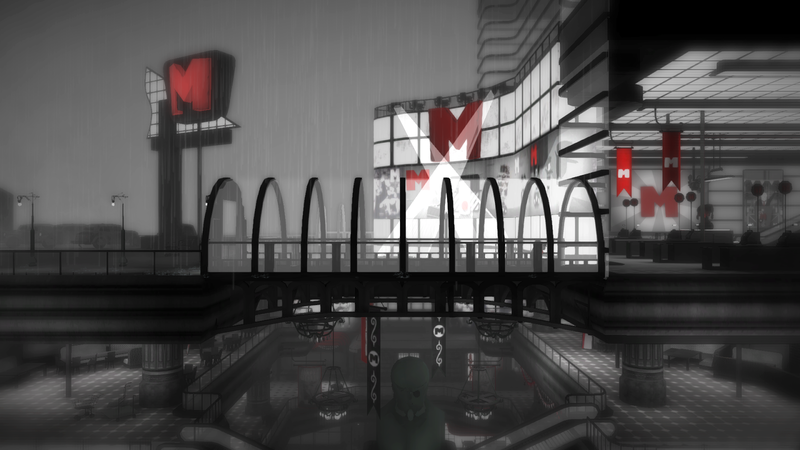 For those of you that haven't heard of Monochroma before, well, it's brought to you and I by the guys at Nowhere Studios, and will cost you just £7.99 if you decide to pick it up after reading this review. The selling page on the Xbox store pretty much sells you the game itself. As it ignores the now standard big fancy words with the hard sell, and actually just gives it you straight. The game is a cinematic puzzle platformer that takes place in an industrial like city set in the 1960's, with you playing the role of one-half of a brother combo as you go through this puzzle-filled world. Now I've been down this brother route before with Brothers: A tale of two sons, and that ended with me crying like a baby. So when I loaded up the game and saw once again this combo was taking place, I expected by the end of it all (which took me around 5 hours to finish by the way) that I would be a blubbering wreck, but that wasn't the case. Controlling just one brother for Monochroma after the other falls through a roof chasing his kite, the "lazy brother" as I ended up calling him, ends up just feeling like a fancy looking crate rather than a part of the family. Throwing him on your back as the lazy git doesn't want to walk anywhere, of course throws a spanner in the works when you need to complete a puzzle. And the only place he will let you put him down is in direct light. It stops that caring connection you would normally have in a setting like this, as he becomes nothing more than a sack of spuds that you carry around for the most of the game, rather than giving that sense of "I must care for my brother" the more time goes on. The story of the game is there for you to decide what is going on in your own head, as text or spoken words are nowhere to be seen throughout the whole game. Because of this it makes it a tough review to do, as it becomes one of those games where mentioning things about your time with it will in turn ruin that experience for the guy/girl going into the game. I hate spoiling things and experiences for others. So let's just say you do a whole lot of puzzle solving as well as seeing some things you will have no idea what to make of while making your way through the world on offer. 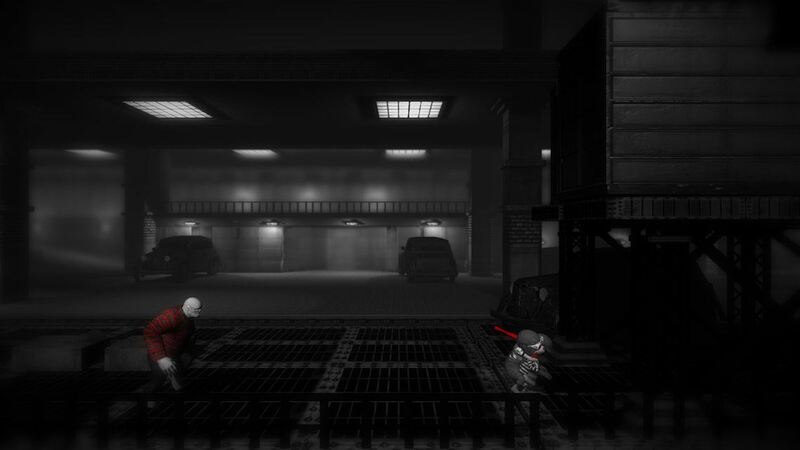 And it's the world that kind of stood out for me over everything while playing through the game, as the black and white mixed with small dashes of red make the game very pleasing to look at the further you get into it. There is one instance of colour that really felt odd when it came on screen, but that made the lack of colour all the way through really stand out a lot more. In terms of controls and things, this is where perhaps Monochroma lets itself down a little, as for me it was the worst part of the game. The character you control at times feels like he is a feather, so it's easy to miss-time a jump or land on that fire barrel you need to carefully jump over. It never got to the point of me shutting down the game or anything as serious as that. But at times it did see me letting out a four letter word, followed by blaming the game for such a stupid error taking place. Picture Unravel without cute Yarny and his fabulous yarn. Mix in little of the darkness of Limbo and games like that, and you're pretty much left with what Monochroma has to offer. 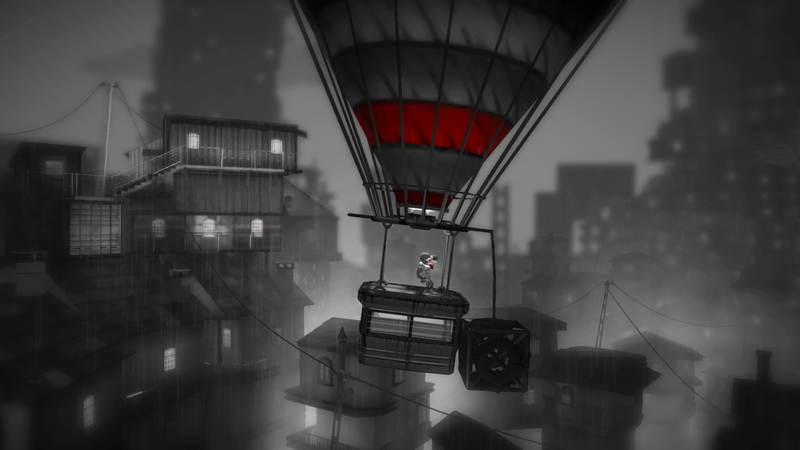 If you enjoyed stuff like Limbo and the above mentioned Unravel, I can't see you not getting something out of Monochroma with the 4 to 5 hours of game time that it offers. Sure it's not as polished as both previous games mentioned. Neither does it offer any sort of replay value to it once finished. 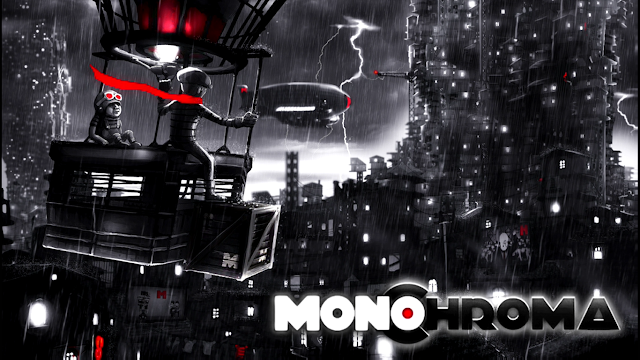 But Monochroma for me was still enough of an enjoyable experience to tell you to give it a look somewhere down the line when it goes on sale.